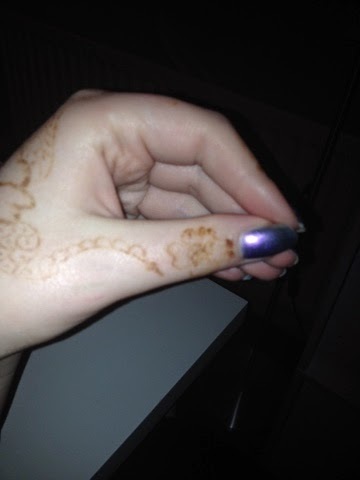 Blushingly Blonde: Henna Tattoo and My Experience. Henna Tattoo and My Experience. 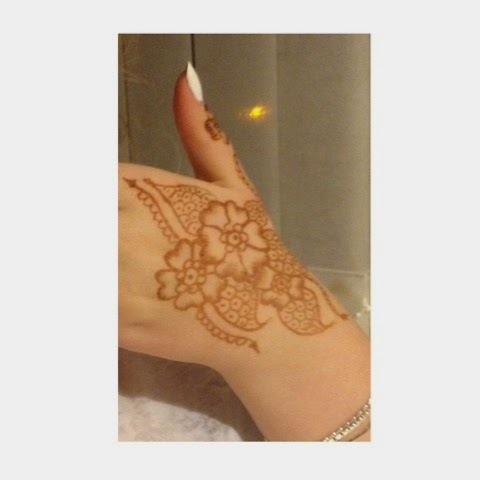 Hey guys, I've wanted a Henna Tattoo for ages - ever since they were all over Instagram! I didn't know where to get one so just put it on my bucket list and sort of accepted I'd probably never get one! Until... Me, My mum and Sister were walking around Liverpool and I saw a small 'hippy' shop that advertised they sell Henna and apply it for an extra fee. My mum paid for mine as a treat, I think it was around £7. 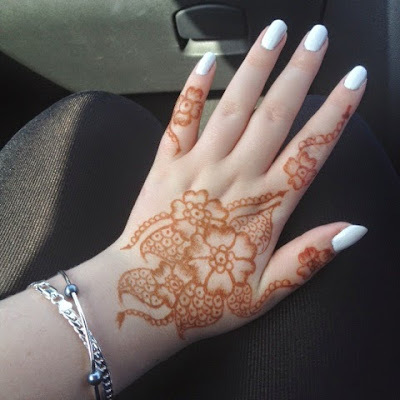 The henna lasted about 2 weeks, which I was overly happy about because I thought it would only last 7-9 days. 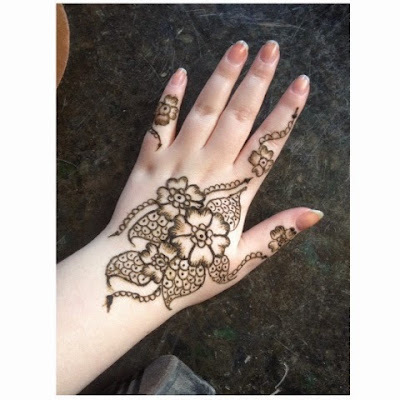 Disclaimer: I am very pale so the henna was a light colour, if you have a darker skin tone the colour of the henna stain will be darker. I decided on a floral design for the top of my hand and just onto my wrist. I really liked the design and loved it when the man was applying it. This is just after the henna paste had been applied. I was sat on the shop floor waiting for my sister to get hers. To be honest I really liked the colour of the paste and wished the stain was that colour. This is what it looked like the morning later, yes I know it's not the best photo. I loved the design, and the colour grew on me throughout the day. Half a week later; it was still going strong. This is a very bad picture - so I am very sorry! 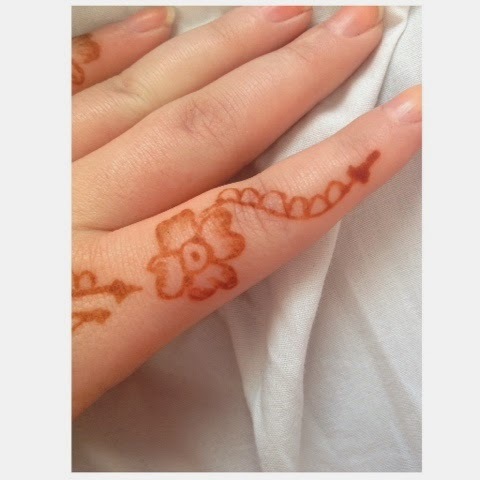 The henna on the fingers faded first, then the main flowers and leafs. The last to fade was my thumb and the leaf near my wrist. As you can see it faded kind of wierdly but that's okay! I don't regret having it done and I would defiantly have another one. Have you had a Henna Tattoo? What type of design would you have? Thank you! If you get the opportunity, you should defiantly go for it! I love the design you had done, it looks gorgeous! When I had mine done last year I managed to smudge it and it was a nightmare, but I think that's just because I was impatient to leave the shop and show it off..
Wow! You're is so cool! I have had hena experienced before twice. And its on my face and my back! So cool!